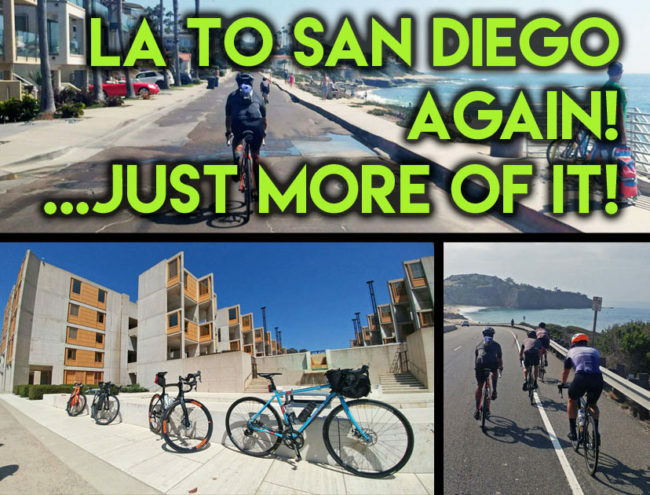 LA to San Diego again…just more of it! 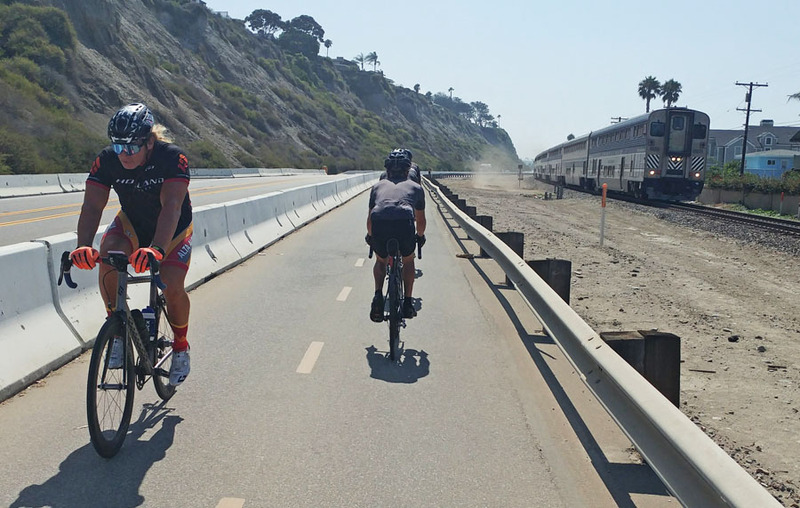 Biking to San Diego is one of those bucket list rides, but not one that I thought you had to do more than once. My previous (and only) excursion down there was three years ago and it wasn’t one I prioritized in repeating. Sure, it’s cool to show up to the office and tell people you rode to another city, but probably less so if your regular job is about bikes like me. For me, mountains, climbing and quiet roads are part of my epic criteria which doesn’t quiet define this double metric century plus ride. Since that last ride, I’ve focused my sneering power to shoot down anyone wanting to mention another outing. We set the launch date well in advance and between that time, my feelings started to change. 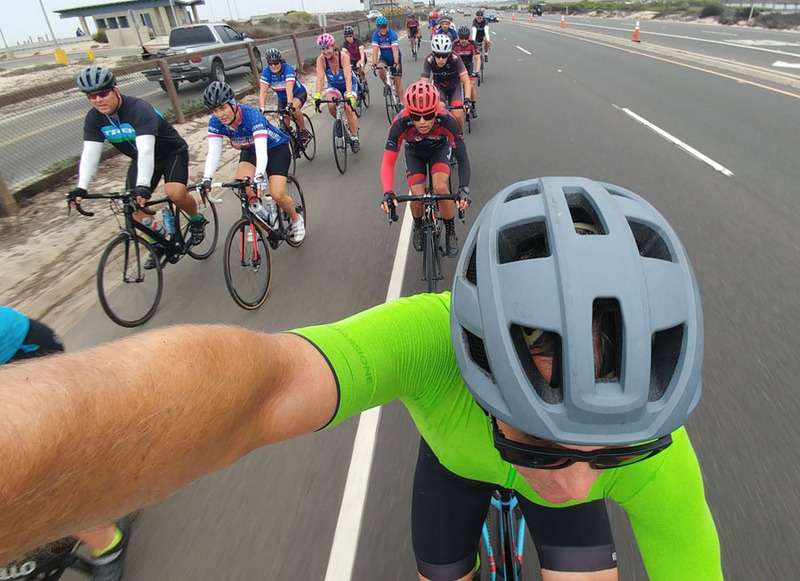 If you’re going to do 140+, it’s good to paceline most of the way! For starters, my Cambria trip gave me a whole different appreciation for the southern portion of the Pacific Coast Highway. While there have been many changes to the old road, spotting the changes and remnants is a romantic hobby that ignited interest in this ride. As we were approaching game time, I was also becoming eager because the previous iteration had me battling a cold and the nervousness of making it before dark. 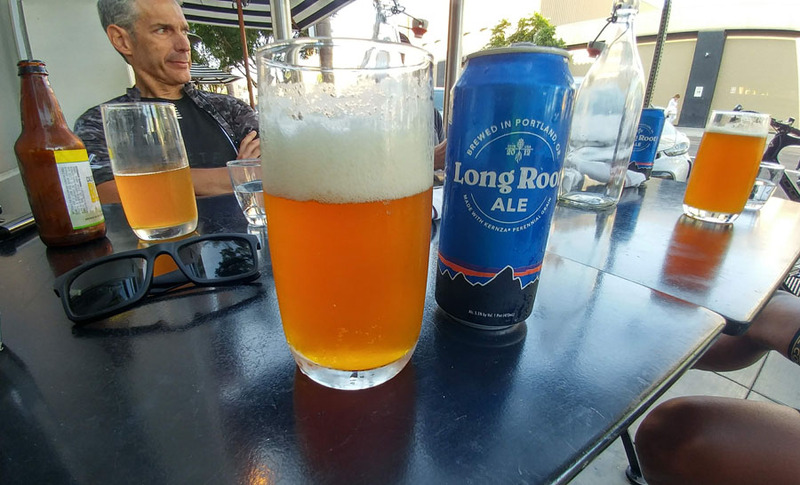 Although this ride tacked on another nine miles starting from the Valley instead of Union Station, starting an hour and half earlier gave us plenty of time to make it down before our 6:40pm train back to LA left. In other words, enjoy the ride! 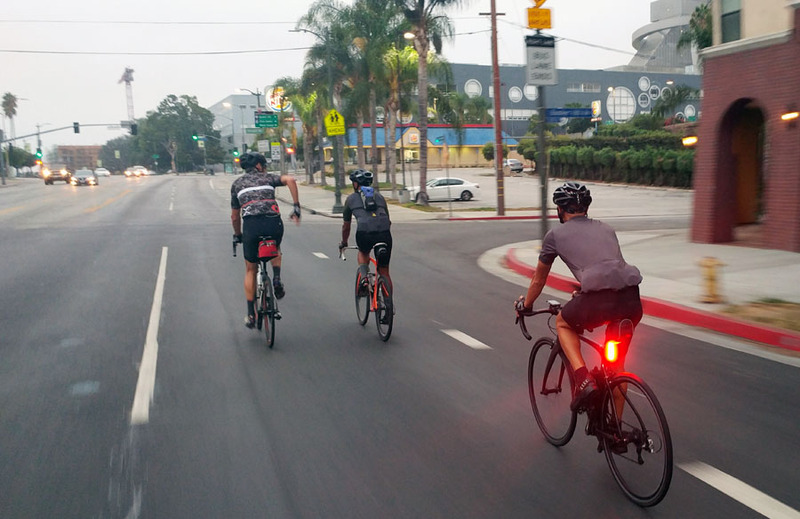 5:43am – Valley Village: I’m on my bike headed to the Universal City Station to meet the crew. It’s pretty nice to have the streets all to yourself at this hour, but it’s even better to still be in bed! 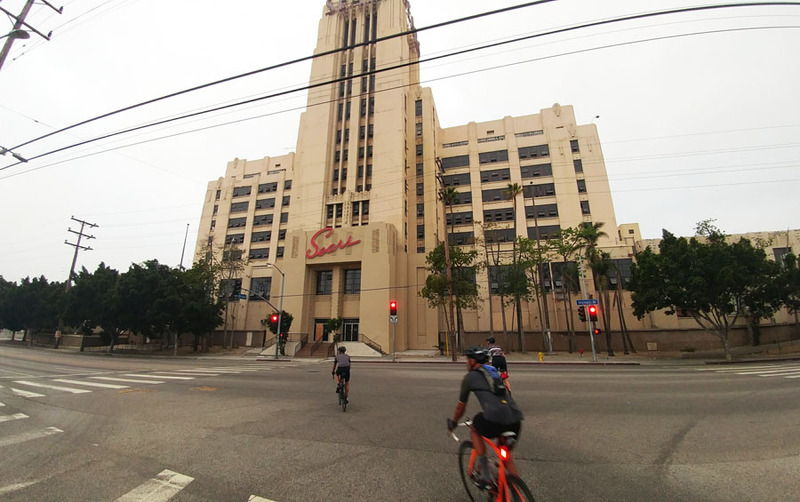 6:39am – DTLA: We left Universal at 6:05am making our way through Cahuenga to Franklin and then jockeying to Sunset. It was amazing that we hit almost every green light along the way. On my previous trip, we left Union Station at 7:30am and made it to DTSD by 4:43pm, so the early arrival made me feel better. 6:52am – Boyle Heights: Already we were almost through Boyle Heights and into unmistakeable Vernon. While you can’t escape the smell of Farmer John in the area, it was nice to have better paved streets than previous trips. 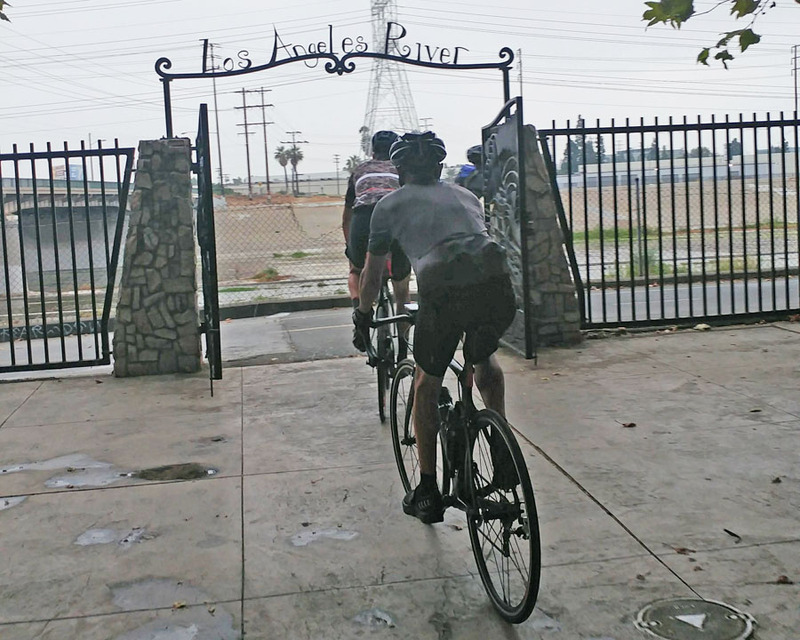 7:12am – Maywood: We hit the LA River Bike Path a couple miles before, but at this time I needed a reliable bathroom stop. Maywood Riverfront Park did the job, while it also had a reliable, unreliable water fountain. 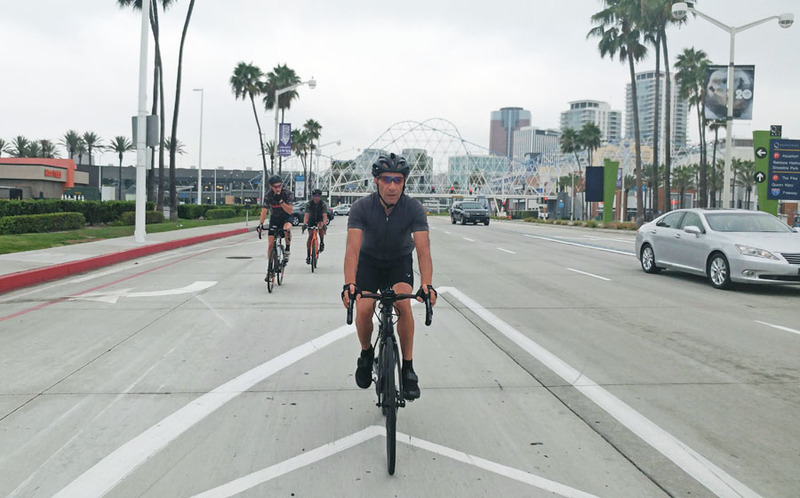 8:02am – Long Beach: My prediction of hitting Long Beach by 8 came true coming off the bike path. Vic was in a little bit of amazement not realizing LB was this close. I didn’t want to let him down that the Spruce Goose wasn’t here anymore either. 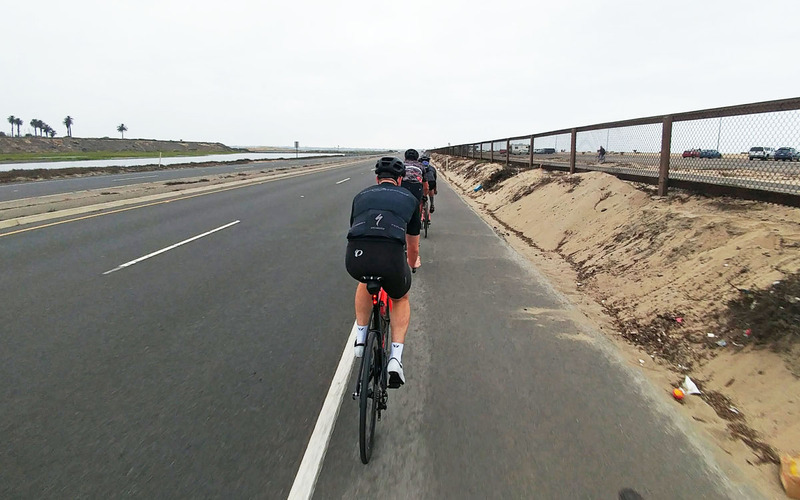 8:35am – Seal Beach: We now hit the start of our very long stretch on PCH where speeds would pick up again. Another thing I learned about this iconic tower: it’s available for rent! 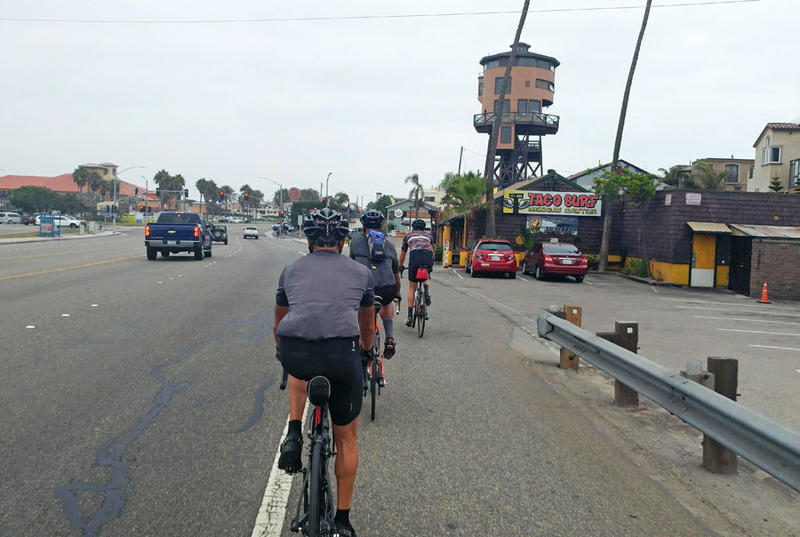 8:44am – Huntington Beach: There’s a lot of groups out on the highway. 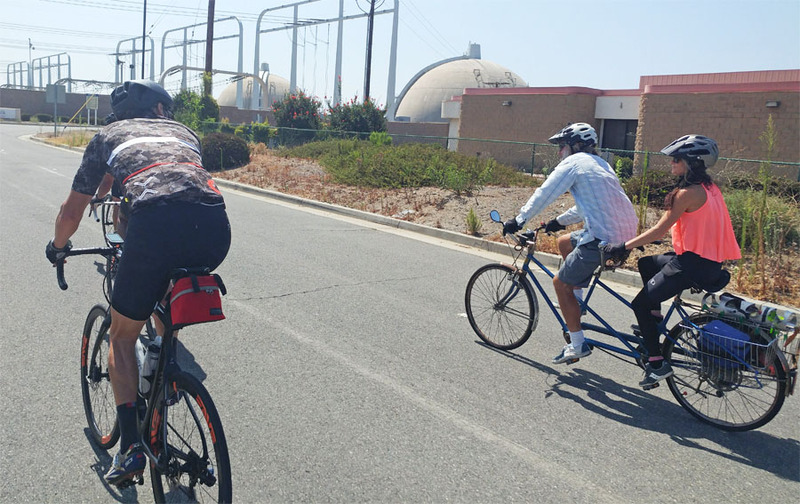 The group on the left was enjoying a casual ride, while the group behind got spicy. My steel bike weighs about 50% more than my others, but I made sure to chase down any gaps. I’ll be damned to let that happen even though we still had 100 miles left!!! 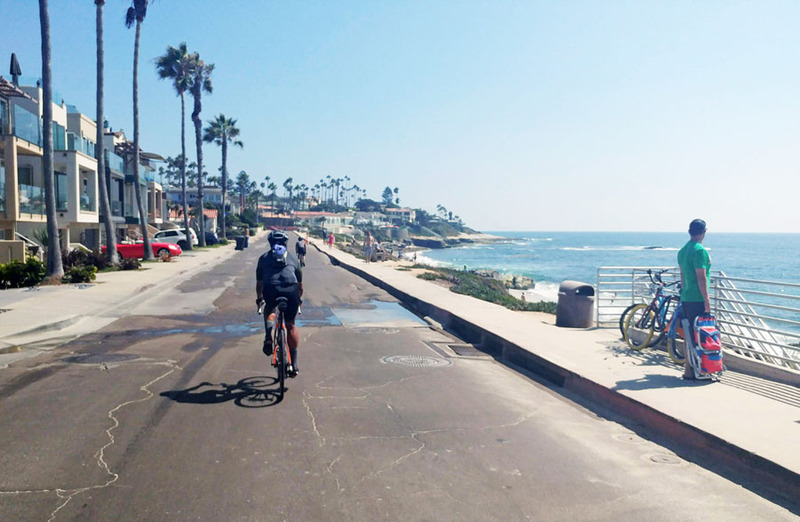 9:32am – Laguna Beach: Passing Newport Beach went smoothly, other than an ornery lady acting stinky on her bike. 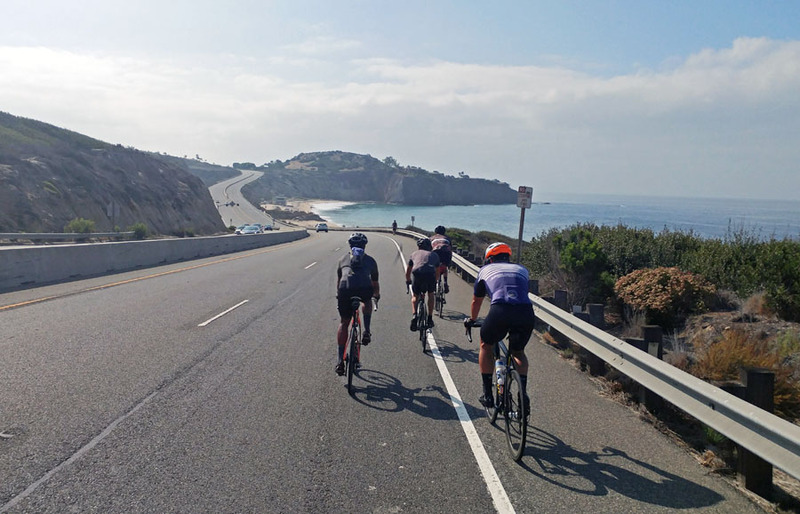 The view entering Laguna Beach is awesome, but the experience riding through is not. There’s a lot of rollers an you need faith in taking the lane among 55 mph traffic. This was the easiest section. 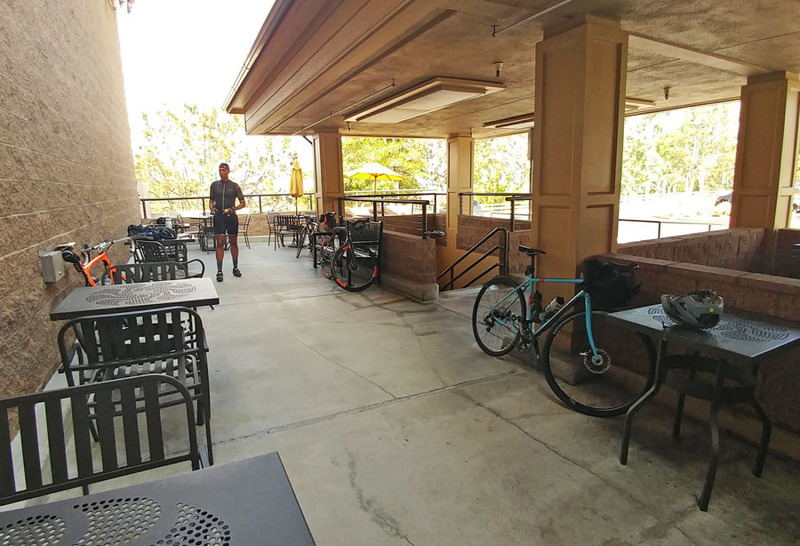 9:55am – Laguna Beach (again): We stopped at the local Gelson’s not just for food, but for the assumption there was a bathroom. So far, we had covered almost half the trip and still had over eight hours to get to San Diego, so we took a half hour break. Also amazing, I got a water, banana & Coke for $2.08….from GELSON’s!!!! 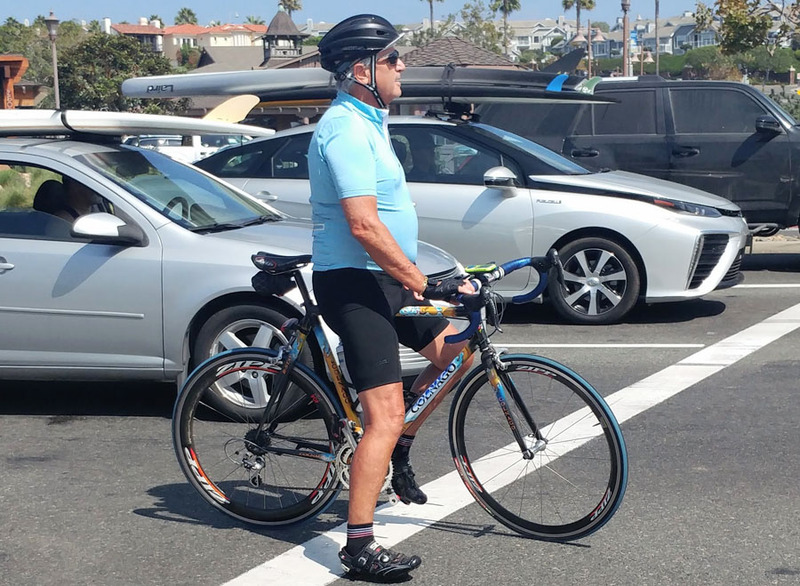 10:44am – Dana Point: Nearing the end of our Orange County portion, I caught a good glimpse of this sweet Colnago. 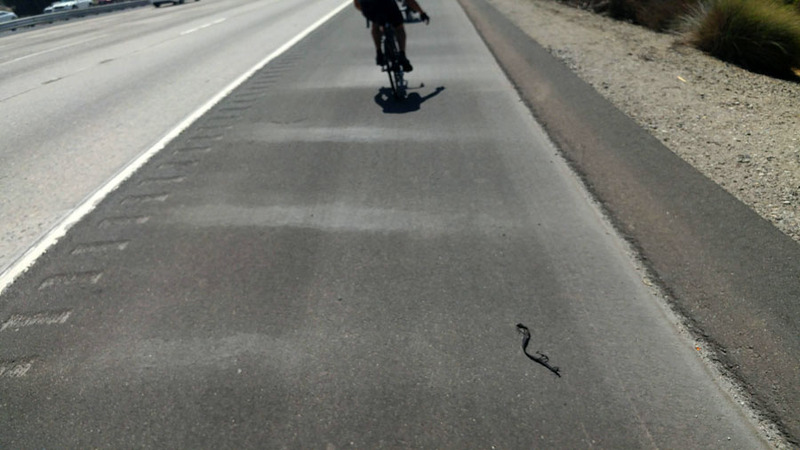 This guy seemed very happy riding today as did we. 11:12am – San Clemente State Beach: I included this photo because of the bridge behind from the old highway. 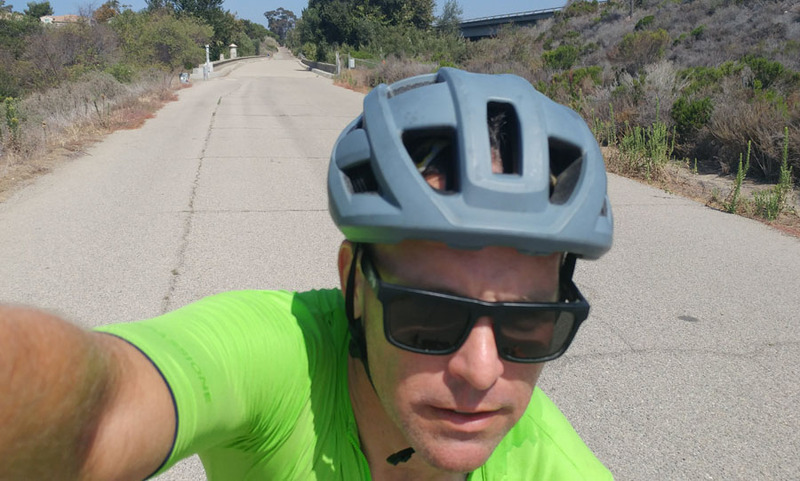 Riding part of this fabled road is part what keeps me connected to the coast. I wish we had more of this. 11:20am – That place: You kinda have to take a pic every time you roll by. Why they put this here on such a great beach, I’ll never know. 11:42am – I-5: Unfortunately thanks to the new rules with Camp Pendleton, we were regulated to the freeway and you will be too unless you decide to come weeks ahead to register. It was slightly less worse than I thought, but I set the bar low. It was loud and the cars zipping by might have sucked us forward. 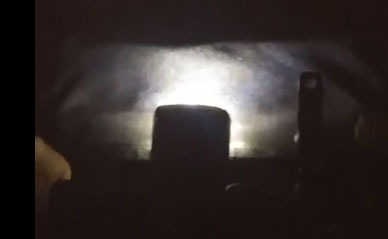 At least the rumble strips would give heads up if someone drifted, but it would probably be too late by then. 12:17pm – Oceanside: Making it off the freeway into Oceanside was very relieving. The downtown part is a bit crowded, but way more vibrant than when my folks would rent a vacation unit when I was a kid. 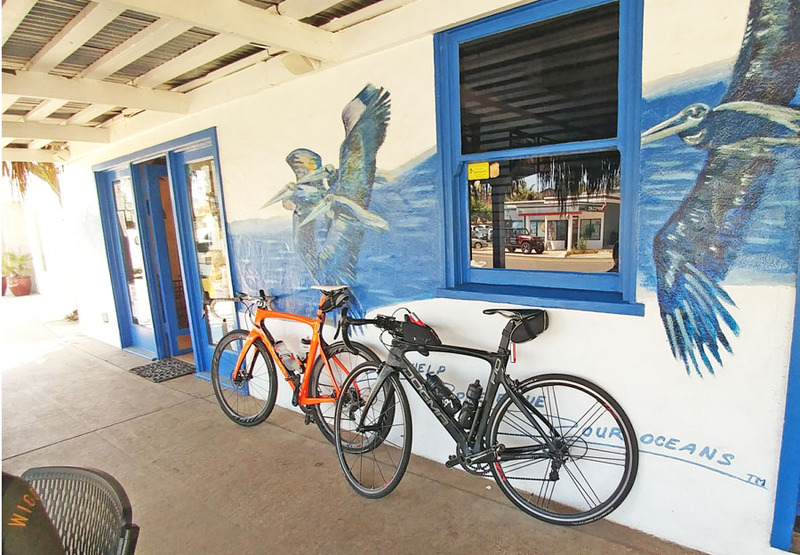 1:17pm – Encinitas: Encinitas was a lively place for our final water stop as we stepped into Surfdog’s Java Hut. The service was appreciatively friendly and my pastry was exquisite, especially considering the afternoon hour. 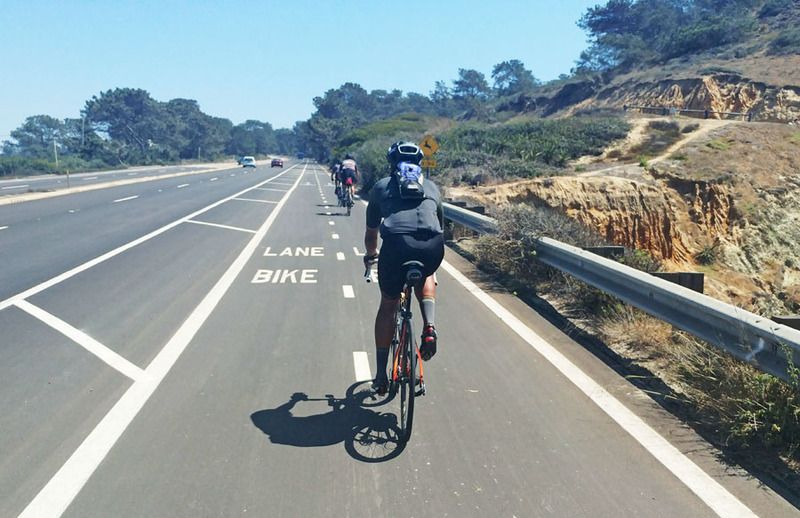 1:53pm – Torrey Pines: A 400 foot climb over 1.5 miles isn’t typically difficult, but the steel bike wasn’t just starting to weigh on me on this climb, but the extra effort to accelerate at all the stops among the triad of Pinarellos. At least, no one passed me this time which works well when you start from the back. 2:13pm – Salk Institute: I’m one of those annoying guys who suddenly pulls the group of course with no explanation (payback for you doing this Dad!). 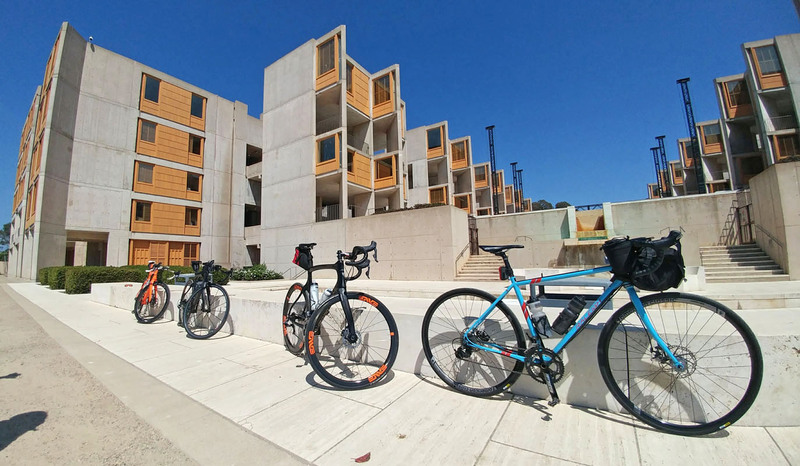 Architect Louis Kahn is one of the top ten influences in my like and the Salk Institute is one of modern architecture’s greatest masterpieces. Coming from the street side, it’s hard to judge its significance, but coming around to the oceanside courtyard brings this still active laboratory to life! 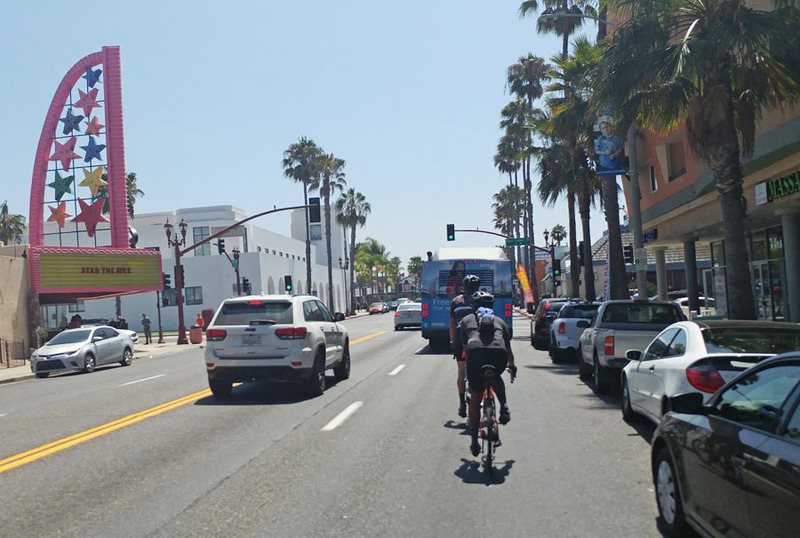 2:52pm – La Jolla: For the first 100 miles, we averaged near 20 mph, but going through downtown La Jolla slowed us wiggling through drivers trying to find impossible parking spaces. At least once we got to the shore, we were amply rewarded. 3:45pm – Touchdown! Officially we made it to downtown with about three hours to kill. 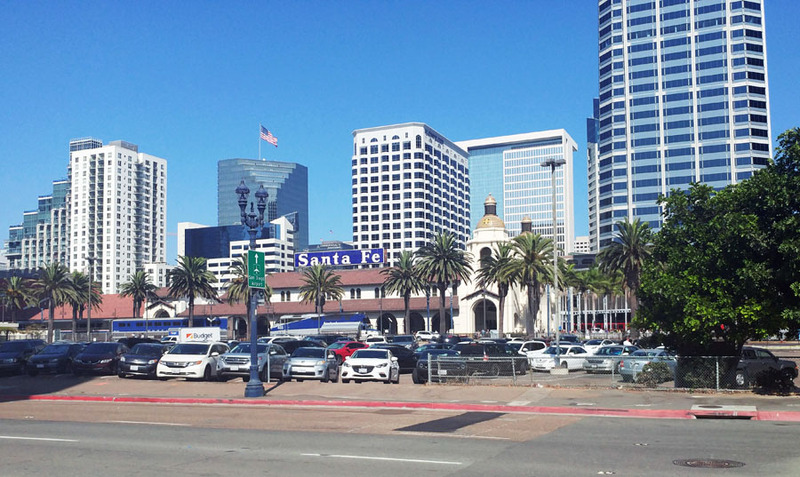 That was pretty nice because there was little pressure to hurry before getting to Santa Fe Station. The biggest question was finding some place to eat. 4:30pm – Little Italy: There are plenty of food options here and Vic steered us towards Cafe Gratitude, a plant based chain where instead of ordering the common name of your food choice, you are encouraged to use the adjoining positive mood descriptor of said item, by saying “I am greatful” or “…inviting” or “..eclectic”. The best thing I can say about my entree is it’s one of the finest things I’ve tasted that feels like it came out of an EZ Bake Oven. I am … rolling my eyes. 6:45pm – Amtrak: Our train left on time and we began our three ride back to Union Station. As you can see, three out of the four of us gave the trip a thumbs up. Me? I obviously can’t take a selfie and control any opposable fingers at the same time. At least credit me with taking a couple of awkward final photos! I’d do this ride again and if you haven’t, you should too.